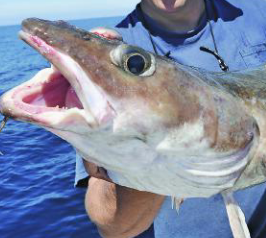 The Ling is a member of the Cod family and has long been a popular species with boat anglers, partly because they make excellent eating. Looking like a mix between a Cod and a Conger Eel, Ling are a hard fighting species which is predominantly found in deeper, offshore waters. They have a powerful body with long fins, large eyes and a mouth full of sharp teeth – the perfect attributes for hunting in the deep water. Although their major spawning ground is near Iceland they are more common around the northern and western parts of the British Isles. Their range extends throughout Europe as they are also present throughout Scandinavian and Icelandic waters, and the Mediterranean, although only in small, isolated areas. There are also very limited populations off the southern tip of Greenland and in some areas off the coast of America and Canada. Ling have a long, slender body and are rarely misidentified with other species. 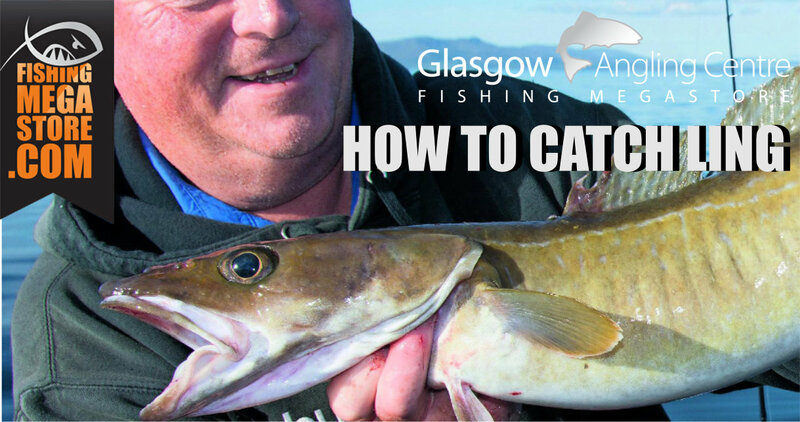 The average size of Ling caught on rod and line is probably between 6-18lb, but much larger fish, including specimens in excess of 20lb, 30lb and even 40lb, are taken in many areas. Ling are a deep-water species, seldom coming into water less than thirty metres deep, and usually found around the heavy and broken ground in depths down to 300 metres. Ling are therefore mostly targeted by boat anglers who hold this species in high regard for its fighting qualities and the relatively high chance of catching a specimen sized fish. Generally, large fish baits and pirks are used to catch Ling from boats. Most Ling caught are taken from reefs or wrecks, though fish are occasionally caught over the relatively open ground. 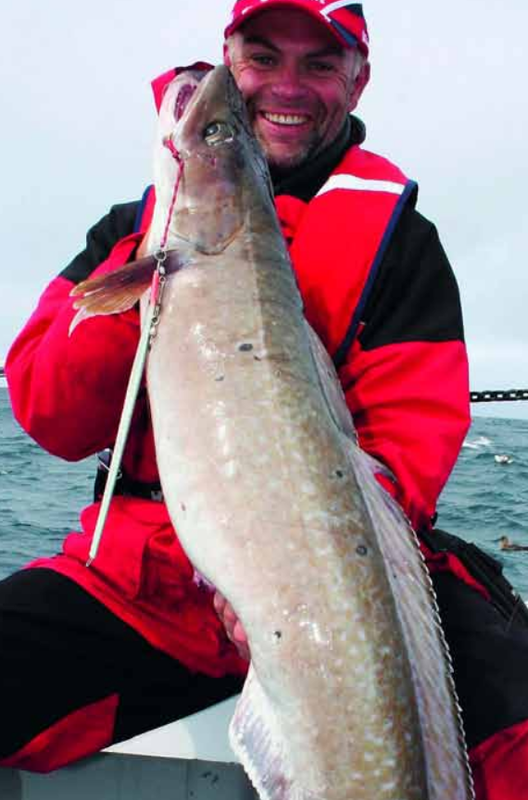 Productive areas include the western section of the English Channel, the northern sector of the North Sea, deep-water sections of the Irish Sea, Ireland and Scotland, with the very biggest fish invariably being caught off the Shetland Islands and the west coast of Norway. The current British boat-caught record for Ling stands at 67lb 5oz, with a fish caught at Muckle Flugga in the Shetland Islands in 2013. 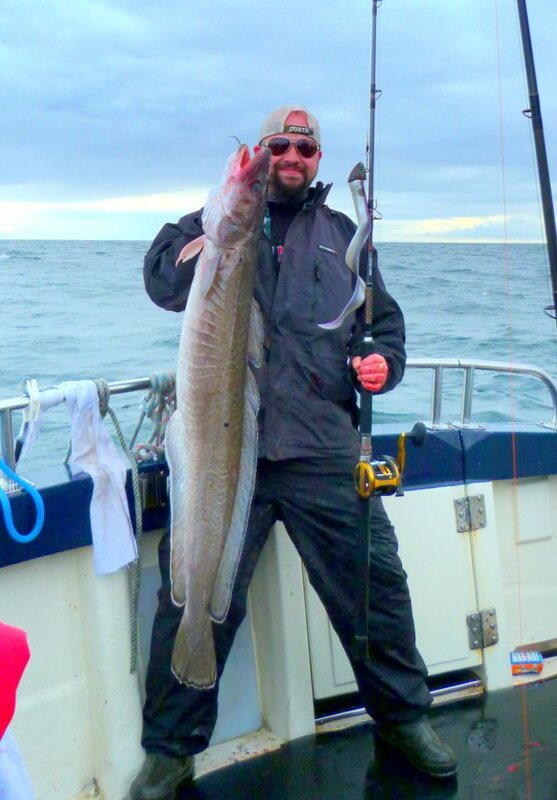 However, the IGFA all-tackle record and Sea Angler Shimano Mission record for a boat-caught Ling is held with a monster that weighed 88lb 6oz, which was caught in 2002, again off the Shetlands. 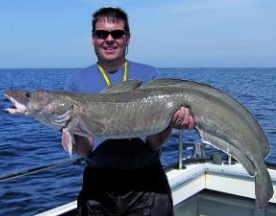 Although the record-breaking sized fish are caught by boat anglers, it is possible to catch them from the shore. They won’t be as big, but they can still be caught around the 20lb mark. Ling from the shore are likely to take fish and Crab baits. Your best chance for catching from the shore is from the end of a long pier or a rock mark.  It is possible to catch Ling throughout the year, but winter weather restrictions invariably result in most of the fish being caught between spring and summer. Ling are a strong species of fish, especially the larger specimens, and using tackle that is too light to exert maximum pressure after hook-up will invariably result in good fish being lost in the reef or wreck. 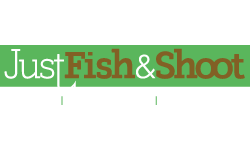 Once a hooked fish is clear of tackle-snagging structures, maintaining smooth, steady pressure should see the fish successfully landed. The traditional set-up for Ling fishing is a 30/50lb-class boat rod featuring a multiplier reel loaded with monofilament or braid. 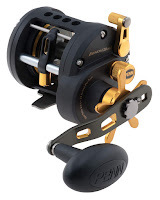 Match this to a reel holding 350-yards or more of 30lb braid such as the Penn Fathom 20 or 25 and similar reels from Daiwa, Shimano plus a number of others. Add a short leader 3-feet longer than the length of the rod of 50lb clear mono to give a little stretch to protect light hook lengths, and to protect the braid from wreck abrasion. 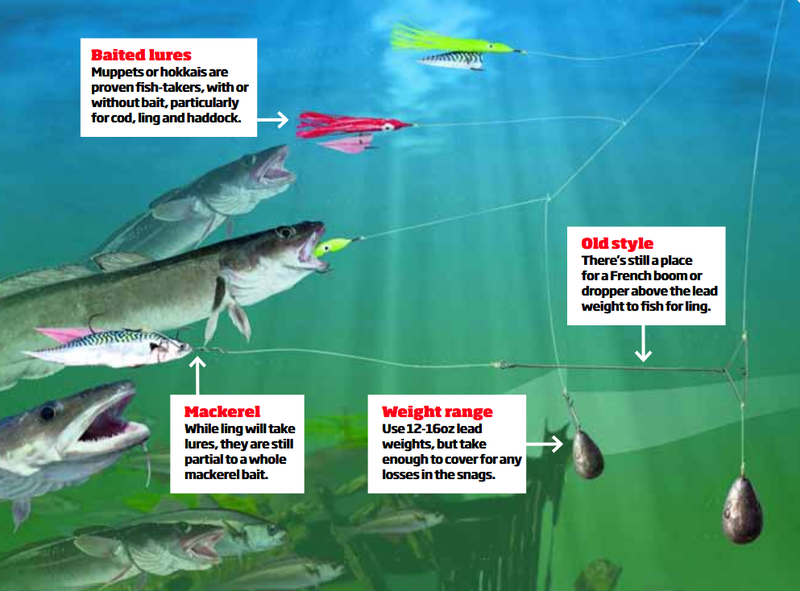 A growing band of anglers now choose to fish lures on light tackle even for big Ling and take a lot of heavy fish. 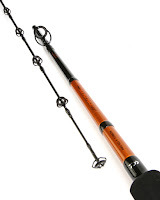 A good choice is a 12/20lb rod about 8’6” in length and a small but powerful reel loaded with 20lb braid. Again, add a short clear mono leader of 30lbs to combat abrasion and add a little stretch when playing a fish on a short line. Many Ling are caught on pirks and occasionally other types of weighted lures, with or without bait. If you use a baited pirk for Ling, it is worthwhile swapping the standard treble hook for a strong single hook as it will result in a more efficient bait presentation. For general bait fishing a running leger, wire boom or muppet rig is perfect for Ling. It is essential to use strong hooks, Sakuma Manta Extra in the larger sizes are perfect. 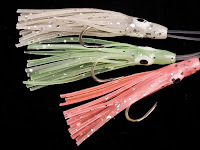 Likewise, a heavy-duty monofilament leader in the region of 150-200lb is essential to prevent bite-offs, as are quality swivels. Ideally, it is best to use fresh bait whenever possible, but Ling will definitely show a strong interest in frozen baits as well. 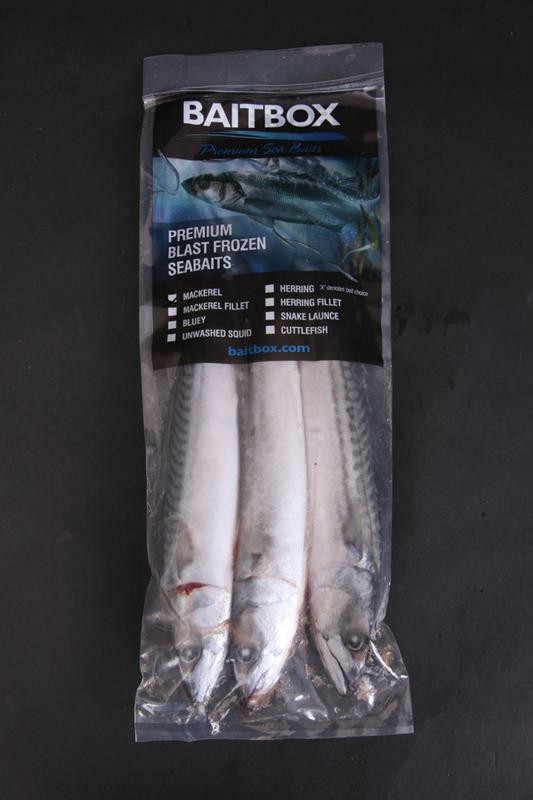 They are predominantly fish eaters, so baits such as Mackerel, Bluey, Herring will work best, but most types of baited sea fish will work well given Ling's voracious appetite.  Ensuring a strong scent trail is key to success and, with this in mind, a flapper including the head and plenty of guts will form an especially attractive offering. Other effective baits include Squid and Cuttlefish. 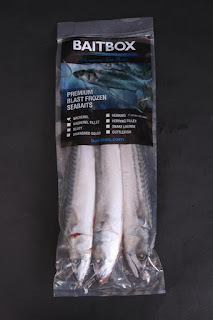 A good tip when fishing whole flapper Mackerel is to add a pink or luminous muppet above the bait, then slide this down over the nose and body to add visual impact and movement. This is especially effective when fishing in very deep and coloured water. If you prefer to use soft rubber lures, shads in colours such as black, red, white and clear blue, or mixes of these colours work really well. 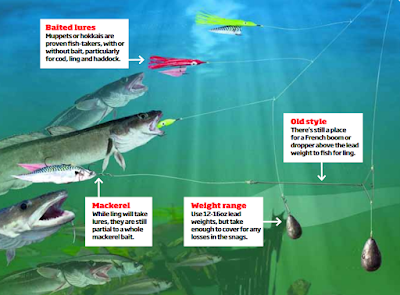 Use a darker lure in clearer water and change to a brighter solid colour if there is a little colour in the water. The general method used when fishing for Ling over a wreck or reef is to position the boat uptide of the area to be fished, and either anchor or slowly drift back over the area. The angler drops his bait or lures down to the bottom, this ensures that it fishes on or very near to the seabed. 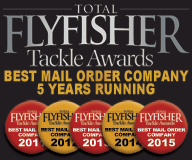 Of course, tackle losses are inevitable, and if you are not occasionally getting snagged, it is likely you are not fishing the most productive area. A solid rattling on the rod tip usually indicates bites. Give the fish a moment or two to fully eat the bait, and then reel down until you feel the weight of the fish and firmly set the hook by lifting the rod. Ling fishing is not subtle, and it is essential that the clutch on your reel has a hefty setting, especially during the early stages of the fight, because if the fish initially gains too much line, it will snag you. When a big Ling is hooked, you need to bully the fish away from the seabed structure as fast as possible or you could be left empty-handed. Once caught it's important to remember about the ferocious dentistry the fish is packing. 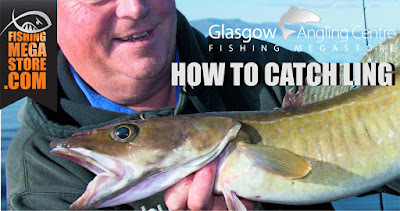 Those teeth are best avoided when unhooking Ling and are what enables this species to remove a Mackerel flapper from your hook without you feeling a bite. The last few things to remember when fishing for Ling are, first, always fish a weight heavy enough to keep the line as vertical as you can. 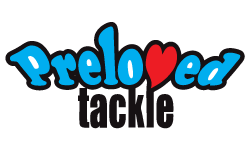 Fishing this way increases bite detection but also lessens the chance of the tackle snagging in the wreck. Secondly, make sure your hooks are sharp and it wise to recheck them regularly. Ling have tough, bony mouths and at depth blunt hooks can simply bounce out without catching. When bait fishing, try adding a double Booby Bead with ball bearings in the cavities trapped between two stop knots. These spin to add vibration and Ling love the metallic click the bearings make. Although Ling stocks are in good shape, being a deep water species their swim bladder can be seriously damaged by being reeled up through the depths, meaning that most boat-caught Ling should not be returned to the sea. Therefore it is a good idea for boat anglers to stop fishing for them when they have caught enough for the table.  If you would like more information regarding Ling fishing you can visit us in store at either the Glasgow Angling Centre or the Edinburgh Angling Centre.  Or call us on 0141 212 8880 and our expert staff will be happy to help.